The Comprehensive Ranking Score (CRS) Calculator is a tool that was developed by the Canadian Government in order to calculate and rank potential skilled immigrant scores. This article will go in detail on what it measures and how each factor influences where you rank. What is a CRS Calculator? The CRS Calculator is otherwise known as the Canada Express Entry Points Calculator. The reasons for this is that it ranks the profiles that are submitted for Express Entry Programs. Each person who is a skilled worker and wants to immigrate to Canada must complete a profile with their qualifications and their personal information. The CRS Calculator then collects the point totals and ranks the profiles. 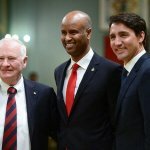 Based on those rankings, the potential immigrants are then invited to apply for permanent residence in Canada. The Canada immigration points calculator is one of the most important tools to understand if your goal is to immigrate to Canada as a skilled worker. You must make sure that you score in the best way possible in each factor in order to maximize your chances of being selected to apply. 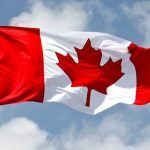 What are the factors that get you Canada immigration points? Each of the factors has a variety of levels where you can gain points. Core/Human capital factors can differ depending on whether you have a spouse or common-law partner joining you in Canada or you are single. 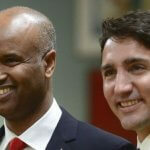 If your spouse or common-law partner is not joining you in Canada or they already a Canadian permanent resident or citizen, your points will be calculated as if you were applying as single. All of these groups of factors are used to determine your ranking in the profile selection. The maximum points that you can get from them are 1,200 points. However, there is no set Canada express entry minimum points that you need to be selected. The point totals are relative, meaning that it depends on how other profiles are scored. In one year, the point total might be very high and you might not be able to pass with 700 points, but if in the next year, the point total is lower, then you might qualify with that amount. Despite this, you must try to get the best possible scores, no matter what the other applicants will have. How to calculate the Canada express entry points? Each group of the factors that are considered has specific points. By finding out where you stand, you can calculate how many points you can get and decide whether you want to submit a profile or not. We will go through each factor and the levels considered with their corresponding points. The total points for these factors are 460 with a spouse or common-law partner and 500 without a spouse or common law partner. All abilities are considered for ranking, including reading, writing, speaking, and listening to determine the proficiency. For this factor, there is a maximum of 32 points for each ability (reading, writing, speaking, and listening) with a spouse or common-law partner, and 34 points for each ability without a spouse or common-law partner. 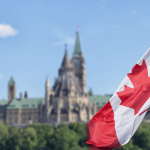 For the second official language, you can earn up to 22 points with a spouse or common-law partner and up to 24 points without a spouse or common-law partner. The spouse or common-law partner points are additional points that you can get if your partner joins you in your application. The points that you will lose in the core/human capital factors because you have a partner, you can make them up in this section. The total points for the core/human capital and spouse or common-law partner factor are 500 points. This factor will consider various education and work experience levels and the maximum points you can get are 100. The maximum amount of points you can get from the first three factors (core/human capital + spouse or common-law partner + skill transferability) are 600. The maximum amount of points you can get from the additional points is 600. After totaling all the factors, the maximum amount of points you can get is 1,200.